This year's AirFair was a bit smaller than previous years. We had a good turnout of fly-in visitors, but many of the Museum's aircraft were down for maintenance. The Canuck, for example, needs a top-end overhaul. That's being done, but it meant that the Canuck was grounded for this weekend. Even with the Museum's flyable fleet reduced, our visitors made up a nice show. 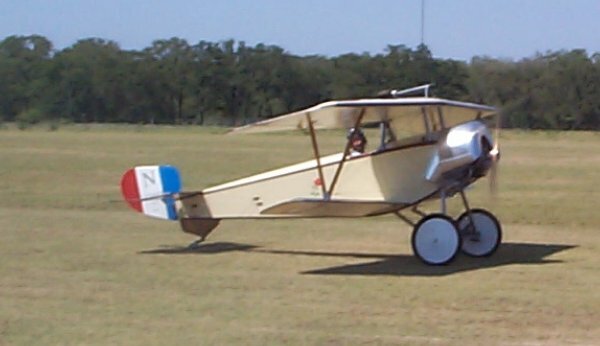 A 7/8-scale Nieuport 11 flew in, as did several classic taildraggers. The L-bird contingent made an appearance, as did a lovely old Fleet biplane. This Nieuport has visited us before, and it's always a crowd-pleaser. The pilot flies two or three times during the day, and with the smoke system and sound effects from the gas machine gun it makes for a nice show. 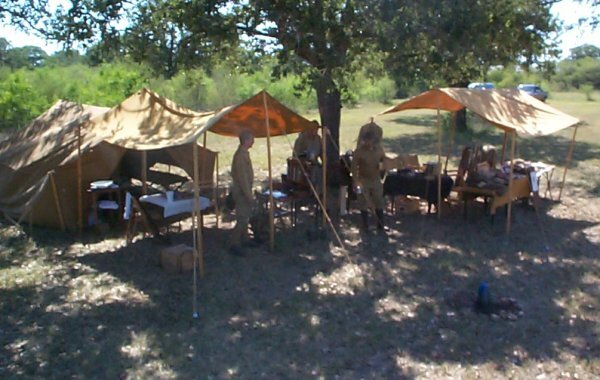 The Headquarters Company, a Border Period re-enactors group, came out and set up a typical military camp of the 1910 time-frame. This shows typical military equipment in use at the beginning of the 20th century. Scout Troop 317 from Seguin helped us with car parking. It's always interesting for them to compare their modern camping gear with the state of the art from 100 years ago. A campfire is still a campfire, but some equipment has changed beyond all recognition, and other equipment was undreamed of in that far-off time. Thanks also to the Randolph Squadron of the Civil Air Patrol, who provided parking directions for our fly-in visitors. These cadets also pitched in to help operate the concessions stand, feeding our many visitors. It's also become a traditional jaunt for several local car clubs to bring their restored machines to our fly-in. These cars provide a look at a simpler time, showing the ground equivalent of our old flying machines. All told, we had beautiful weather, a nice turnout, and only the slight disappointment that so many museum aircraft were grounded. 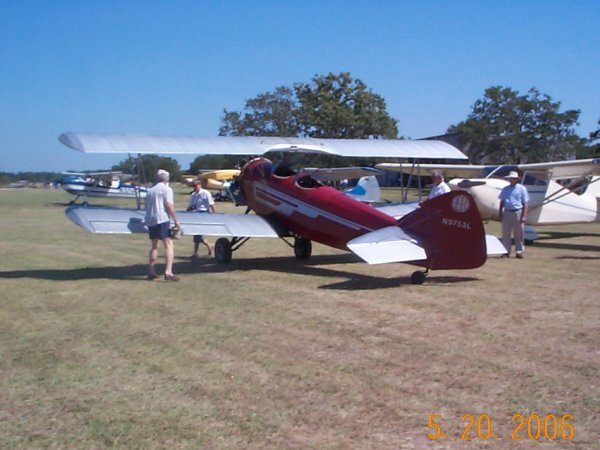 Repairs are in progress, and many of our planes should be airworthy again by the fall fly-in.